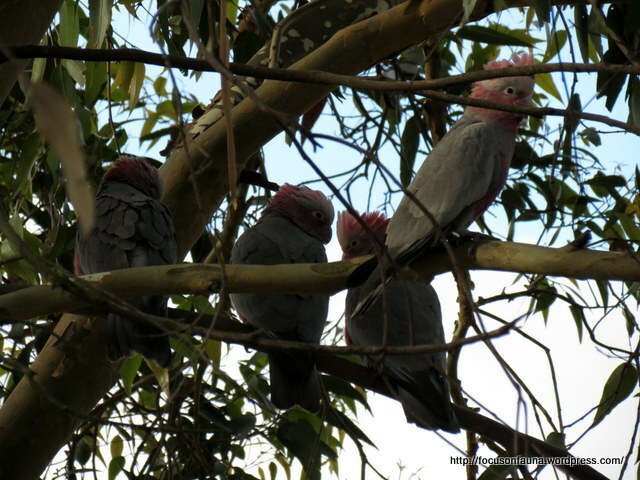 The four offspring of the tree-hollow nesting Galahs featured in a previous post (click HERE) are now fledged and almost fully grown. They are a delight to watch as, under the wary eye of their parents, they head off on what appear to be practice flights around the paddock, twisting, swooping, wheeling – and calling (click on the audio bar below to hear them), before landing together on their favourite low branch. 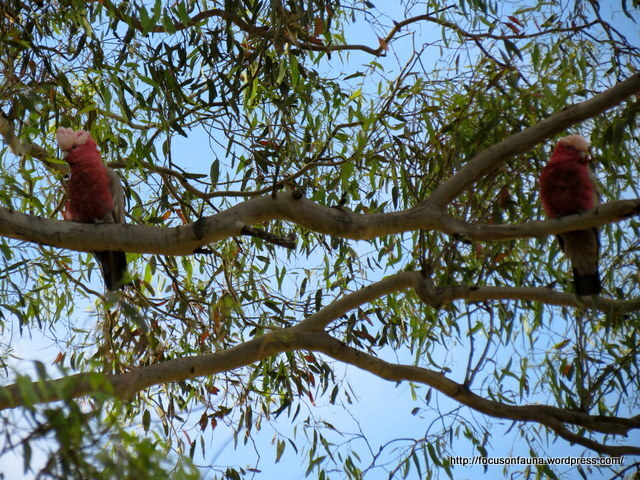 Here they can be approached to within a few metres as they sit preening and looking slightly dopey – they are, after all, galahs !